History of Uttar Pradesh describes the lifestyle of the present people. It starts with the arrival of Aryans hordes from Central Asian region around 2000 B.C when Aryans settled along the Doab of Ganges and Ghagra. This settlement, which was predominantly rural in nature, was named "Madhyadesh" i.e. 'Central Country'. Various Vedic era monarchies ruled in Uttar Pradesh. The most famous was Kosala that was ruled by King Dasaratha and his successor Ram. They later became the character of epic called Ramayana. Another epic, Mahabharata, also describes about kings who ruled in and around modern Uttar Pradesh and were participant in the war of succession between Kaurvas and Pandavas. In the middle of 1st millennium B.C, there was a dominance of Lord Buddha and Buddhism. In that period, Magadh dynasty ruled in Uttar Pradesh. After that Nanda dynasty and o Mauryan ruled. In the post-Christ era, Kannauj became the center of power. Various rulers ruled from this city but it was during the supremacy of Harshavardhana that the city raised to its peak. In Medieval period, of Muslim rule is dominated in Uttar Pradesh. The era saw the ruin and dishonor of Rajput rule in Uttar Pradesh and their influence was largely confined to the pockets surrounding the Rajputana strongholds of Rajasthan. During the reign of Mughal, Emperor Akbar touched the height of success. He made Fatehpur Sikri as his capital cities. In the Mogul reign, emperor constructed the magnificent monuments in Uttar Pradesh. 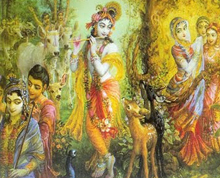 The era also observed as the development of unique art, crafts and culinary traditions of Uttar Pradesh. Modern History signifies the capture of British in Uttar Pradesh. During this era, the Muslim rule weakened and was later confined to the Doab region. Other martial tribes dominated in the rest of the areas. Oudh was ruled by the Shiite Nawabs, Rohilkhand by Afghans, Bundelkhand by the Marathas and Benaras by its own king, while Nepal controlled Kumaon and Gadhwal. The 'Divani' of Eastern Uttar Pradesh and Oudh later passed to British. It occurred in 1764 when the British East India Company forces, in the historic Battle of Buxar, overpowered the combined army of Nawab Suja-ud-Daula, Mir Kasim and Mogul Emperor Shah Alam. Revolt of 1857 occurred at that time. Some of the major protagonist Nana Saheb, Tantya Tope, Rani of Jhansi, Maharaja of Benaras and Begum Hazrat Mahal were the resident of Uttar Pradesh. A Sepoy named Mangal Pandey is said to have initiated this revolt in Uttar Pradesh when he opened fired on a British Sergeant in the Merrut Cantonment.